I'm gonna be honest with ya. I debated if I should even share this post with you. It's been sitting in my photos folder, as my backup, for if a time came where I was so desperate for some food to publish, I would have something. That day is today. 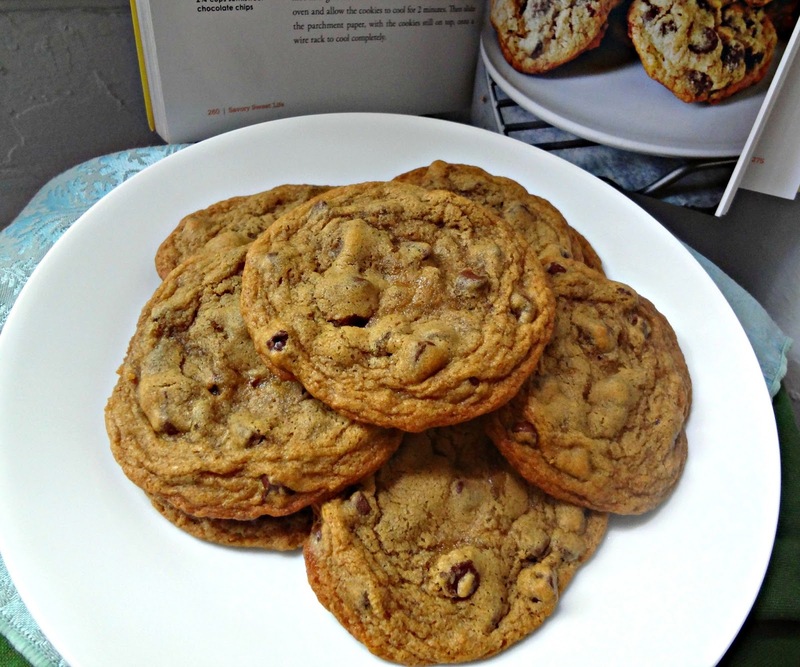 These cookies have been lauded as "the best" by a few select bloggers. And I respect these bloggers. But..well...I didn't love these cookies. They're actually the cookies that inspired these toasted marshmallow cookie sandwiches, because I just couldn't eat the leftovers by themselves anymore. BUT-we're all different, and have different opinions. And, I might as well let you decide for yourself. What makes these cookies unique is the dark brown sugar, creaming process, lots of sugar, and you don't need to chill them at all-you can just immediately make them. You then have a fairly classic, chewy cookies with some very complex, hints of molasses (due to the dark brown sugar). For my personal preference level-these just weren't thick enough. 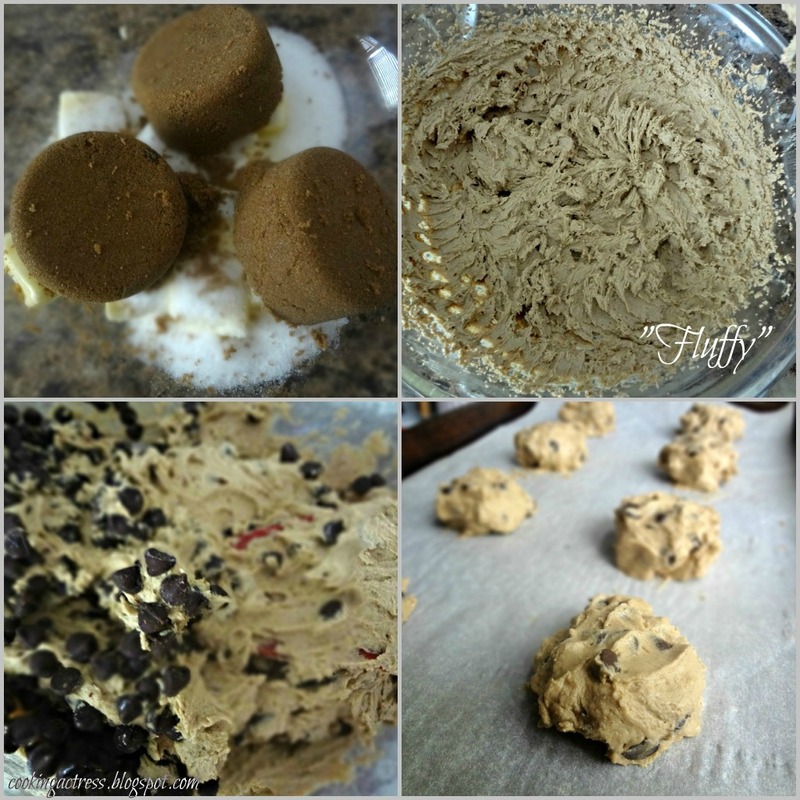 I knew I was in trouble when I saw how wet the dough was (in my experience thicker dough=better cookies). And I didn't think, other than the dark brown sugar, the flavors were anything great. But again, that's me. Let's allow the jury to decide, shall we? 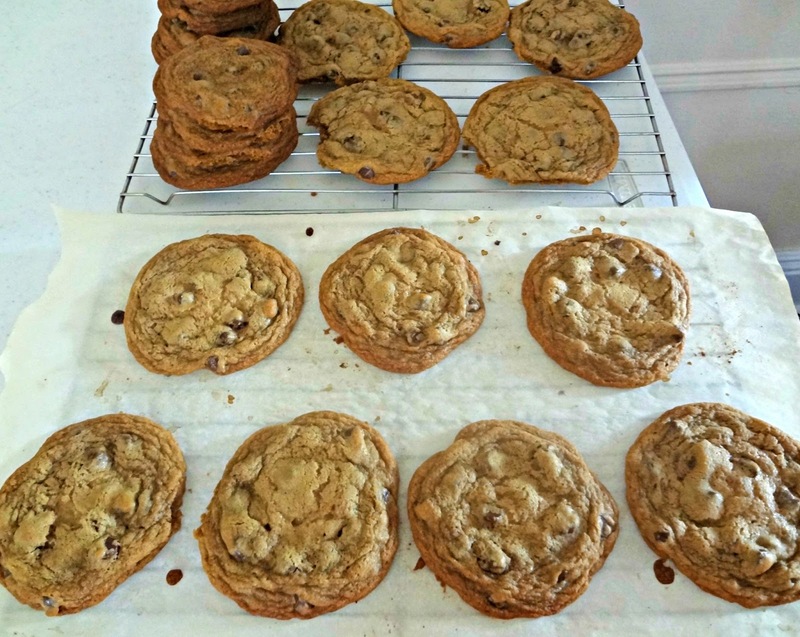 From Savory Sweet Life's "Best Chocolate Chip Cookies Ever"
Preheat oven to 360 degrees. Line baking sheet(s) with parchment paper or silpat. Using a mixer, cream together the butter and sugars on medium-high speed for 3 minutes, until fluffy. One at a time, beat in the eggs and then the vanilla-mixing for 2 minutes. On medium-low speed mix in flour, baking powder, baking soda, and salt until combined. Drop 2 tbsp. of dough (or medium cookie scoop) onto sheet(s), spacing 2 in. apart. Bake 12-15 minutes, until the edges are golden brown. Remove and cool on sheet 2 minutes. Transfer parchment paper, with cookies on it, to a wire rack to cool completely.